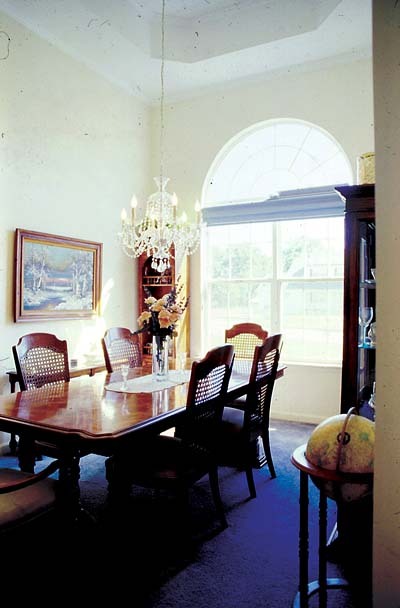 A towering, wide window with an arched top perfectly complements the dining room’s stepped ceiling, which rises to 14’. 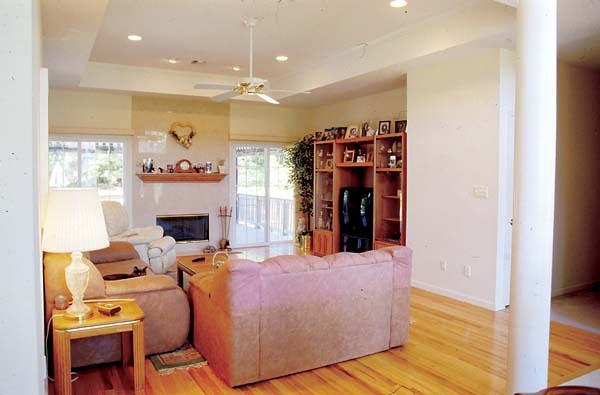 Sliding glass doors brighten up a vast great-room with its own fireplace and built-in television niche. 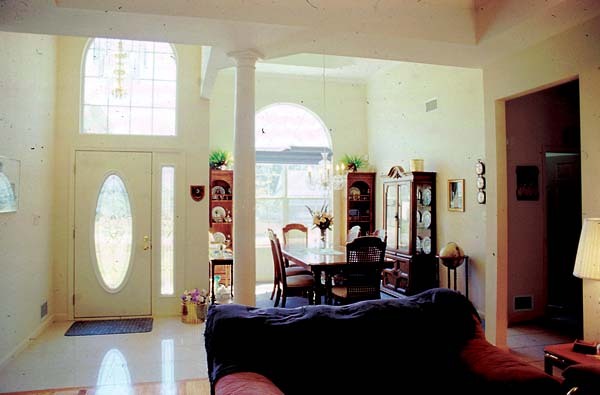 A kitchen with long counters and a range top flows into the breakfast room, which connects to a back porch. 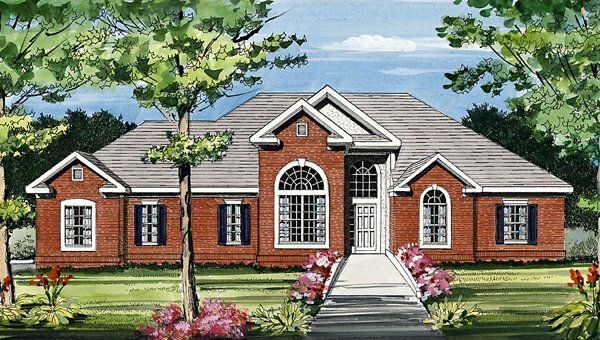 A three-piece bath serves two front bedrooms, located across the hall from a master bedroom with a bay window, vaulted ceiling, and access to a walk-in closet and private bath. This home is designed with a basement foundation. 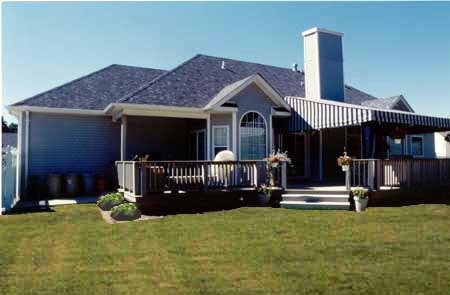 Each set of construction documents includes detailed, dimensioned floor plans, basic electric layouts, structural information, cross sections, roof plans, cabinet layouts and elevations, as well as general specifications. 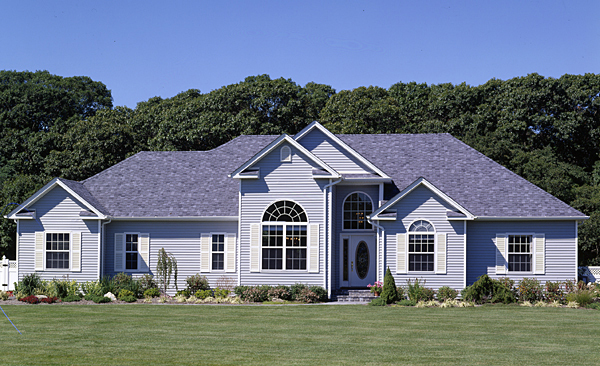 They contain virtually all of the information required to construct your home. Basement - * $100.00 Total Living Area may increase with Basement Foundation option - please call to confirm before ordering.